NO PURCHASE NECESSARY. MUST BE 18 OR OLDER TO PLAY. 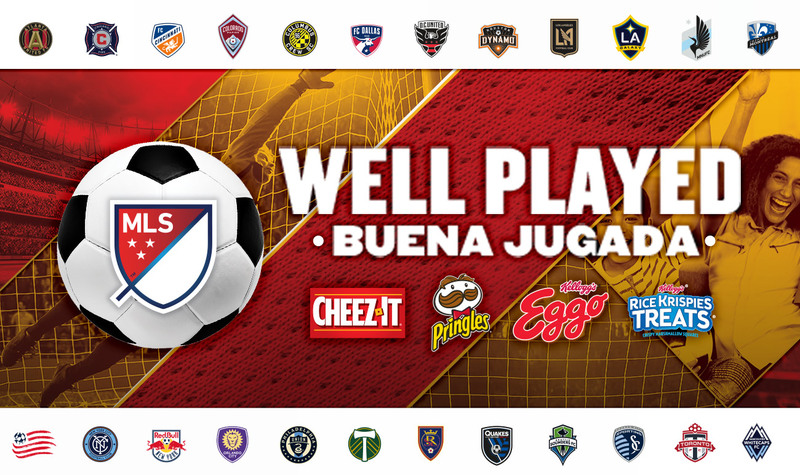 For free game piece (while supplies last) and complete Official Rules, send a self-addressed stamped envelope to: Kellogg’s™ - Major League Soccer Instant Win Game, P.O. Box 7694, Kalamazoo, MI 49003-7694. VT residents may omit return postage. Requests must be postmarked by 7/31/19 and received by 8/7/19. Open to legal residents of the fifty (50) United States, District of Columbia and Puerto Rico who are 18 years of age or older. Odds: Grand Prize 1:4,200,000 / First Prize 1:10,500. If your specially-marked package does not contain a winning game piece/message, or you do not receive a winning game piece by completing the alternate means of entry described above, you are not eligible for a prize. Subject to complete Official Rules. Void where prohibited. Sponsor: Kellogg Company, One Kellogg Square, Battle Creek, MI 49016. ®, TM, © 2019 Kellogg NA Co.